Dr. Katherine Baker's clinical interests include providing comprehensive care to vulnerable children while addressing social determinants of health. 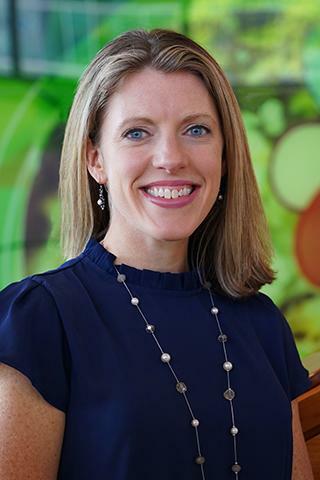 She is the assistant director for medical home innovation for the pediatric practice at Golisano Children's Hospital and enjoys working with multi-disciplinary teams to optimize the provision of care in the outpatient setting. Dr. Baker values the relationships formed over time with patients and families and is committed to sharing this joy with residents, students, and other learners. Dr. Katherine Baker's research interests focus on medical education, the medical home, and physician wellness. She is interested in improving resident education in both well child and acute care settings and preparing trainees for global health experiences. Dr. Bakers view of the medical home includes access to mental health care and breastfeeding support. She is interested in promoting physician wellness and identifying factors to mitigate burnout.